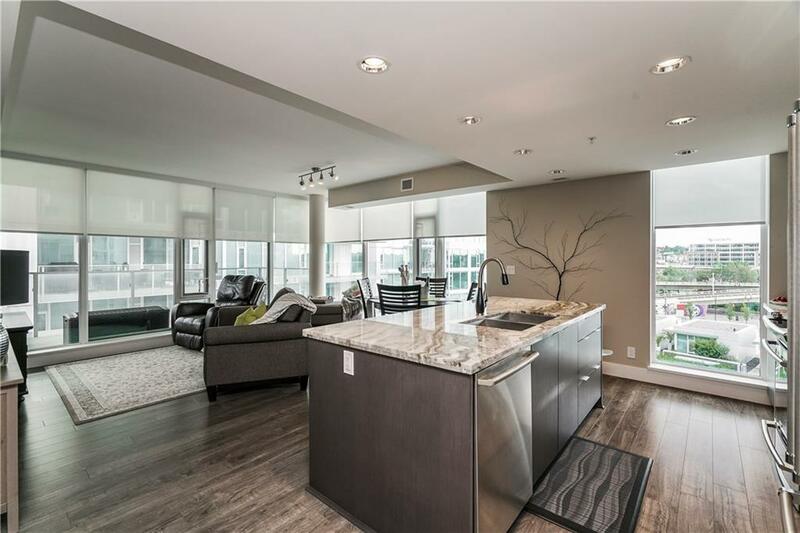 Exceptional corner unit overlooking the landscaped courtyard and Bow river, this pristine condo features floor-to-ceiling windows throughout an expansive interior space. 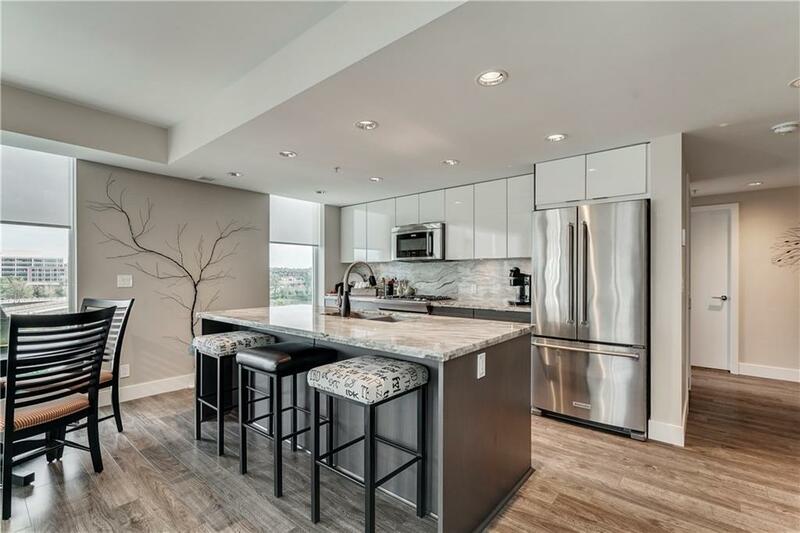 The preferred kitchen layout is a chef's dream, featuring Electrolux and Kitchen Aid appliances (upgraded Washer/Dryer). 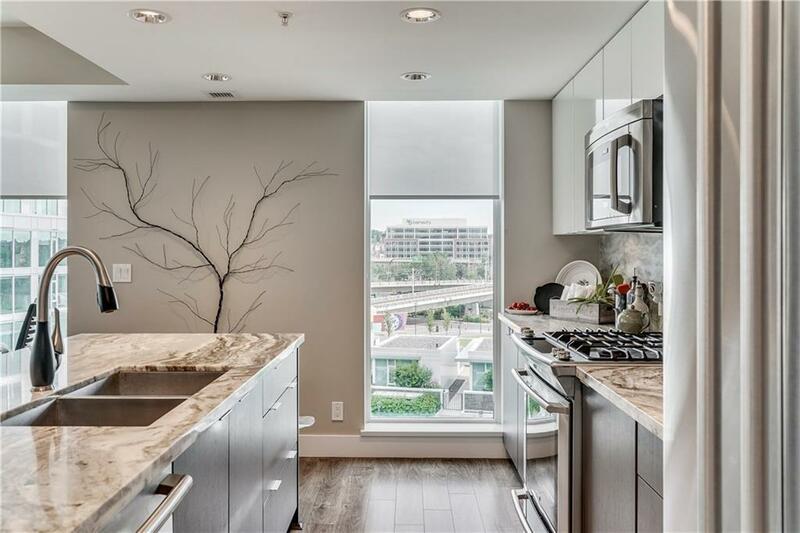 Large living and dining + two ensuited baths, both with heated floors. Intimate Master bedroom with black-out blinds and a luxurious spa bath. Central A/C is ideal for hot summer days, which are equally enjoyed on the oversized West-facing balcony. 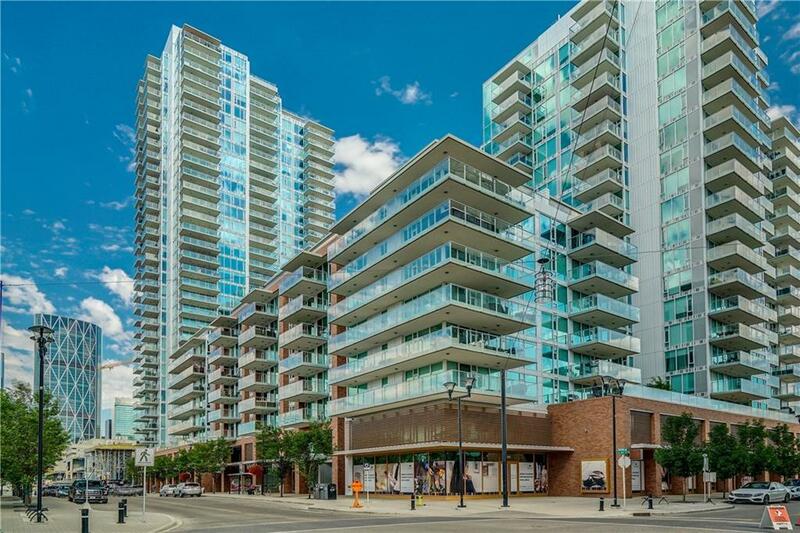 Enjoy the ultimate urban lifestyle with amazing shops and restaurants in the East Village+easy access to bike/walking paths, C-train, Inglewood, Bell Studio, and the new Calgary Library. This well-managed low-rise building provides owner's access to two fully-equipped gyms, media/party lounge and rooftop gardens. Assigned underground parking and main floor storage unit.